In the United States, over 34 million homes have satellite TV. You probably know someone who has it, and if you’ve been to a sports bar, you’ve seen it too. It’s surprising to think that there is still misinformation out there about satellite TV but you’d be surprised what people say. People still think cable or fiber is better, and that’s just not true. Here are some popular myths… and the real truth behind them. You may have heard that satellite TV is inferior to cable for a number of reasons. In most cases, those reasons are founded in outdated perceptions of the service. Satellite TV is the only option if you want to install all your own equipment, but if you’d rather have professional installation, it’s free of charge. Cable and telephone companies (telcos) don’t give you the option to do it yourself, and you’re stuck with their installers who do things their way. If you want to put enough wire in the wall for 32 TVs, we’ll help you do it, but if you’d rather lay back and watch the pros work, our installers will take care of everything. Myth: You can’t afford satellite. It’s true that satellite TV customers pay more on average than cable or telco customers, but that’s only because satellite TV gives you more premium options. Satellite TV starts at $29.99 per month with free equipment and installation, cheaper than most cable TV. Cable and telcos will come at you with “bundle pricing” and tell you that you can’t get bundles with satellite. That’s just not true. Both DIRECTV and DISH partner with the leading cell phone and internet companies and depending on where you live it could actually be cheaper. Myth: You can’t get your favorite channels on satellite. Let’s be honest: there are going to be some channels that aren’t on every system. That’s true whether you pick cable, telco, or satellite, but when it comes to selection, satellite TV offers hundreds of channels where cable companies give you just a few dozen and telephone companies (telcos) offer a hundred or so. 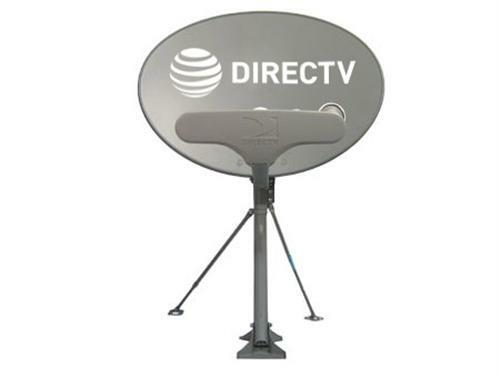 DIRECTV offers exclusive sports packages, too and more locals than the cable company in many markets. No one provider will offer every channel but satellite does a better job of covering the wide selection. Not only that but satellite TV customers often get an east coast AND a west coast feed, something cable doesn’t do. Myth: Satellite doesn’t give you the same on demand experience as cable. Here, that’s just not true. DIRECTV specifically offers well over 10,000 titles including next-day replays of your favorite shows, hit movies (long before Netflix) and special interest programming. All of these programs are available with the push of a button — they stream through your internet connection so in most cases they start in just a few seconds. DISH isn’t far behind with a strong selection of program choices and streaming content. Myth: Only satellite has rain fade problems, and they happen all the time. Satellite TV is more reliable than cable or telco-based TV. Cables break, fiber connections go bad,and a single cable break near your cable company’s office can take out the whole town. Satellite TV doesn’t use long cables so there’s less chance there will be a problem. Yes, rain fade is a possibility — if the weather is too harsh the signal might go out for a minute but don’t kid yourself, this happens to cable companies too. Here’s the secret: cable companies get their signals using satellite dishes. If your dish can’t get the signal, it’s possible theirs won’t get it either. Myth:Satellite dishes need to go up on the roof, and when you drill holes to mount them, your roof leaks. That’s nowhere near the truth. It’s true that you can put a dish on the roof if you want, but there are plenty of options including non-penetrating mounts, eave mounts, and tripods that eliminate the possibility of roof leaks. It’s true that you’ll need a hole drilled to get the cable in from the outside, but that’s true of cable too. The law says that you have the right to put a dish on your patio or in any private area. If your landlord says you can’t drill holes in walls then you can use flat window cables to feed the signal in from outside. There are even whole-building distribution systems available so your landlord can have one dish on the roof that serves everyone… and it’s very inexpensive to do! When you look at the facts, it’s hard to believe that anyone really believed that cable could win out. It’s just not true, period. Can you use multiple DIRECTV remotes in the same room?